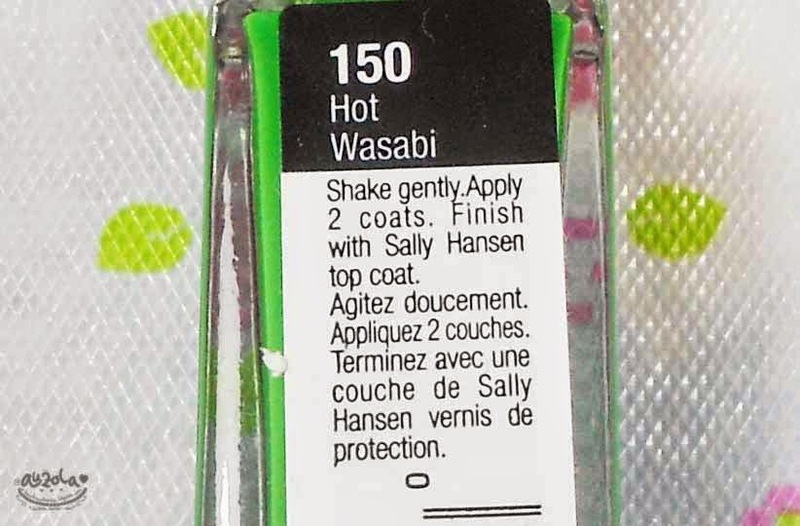 This is a review of another Sally Hansen product that i got from Beauty Blogger Meet Up months ago. Sally Hansen was one of the sponsor of this gathering. 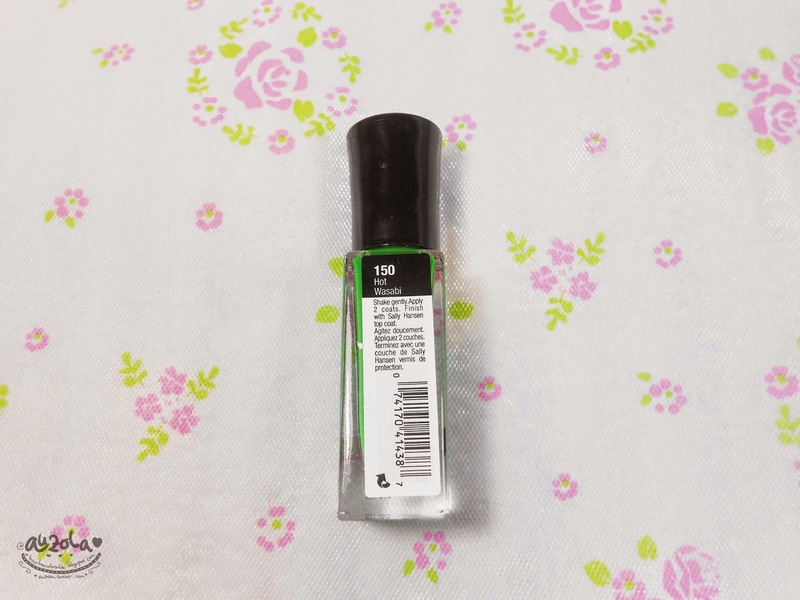 It's a nail polish as well, from their i Heart Nail Art collection. If you read my blog lately, i already review one nail polish from this collection and now im going to review the other one! Psstt, the color is green! Anyway,i'll mention it again that i dont have that kind of perfect nails that worth to show in pictures, but for the shake of reviewing this thing, i will show my nails again. It's small and not good for any nail art i supposed, but oh well, at least you still can know the review hahaha. Lets check the packaging first! 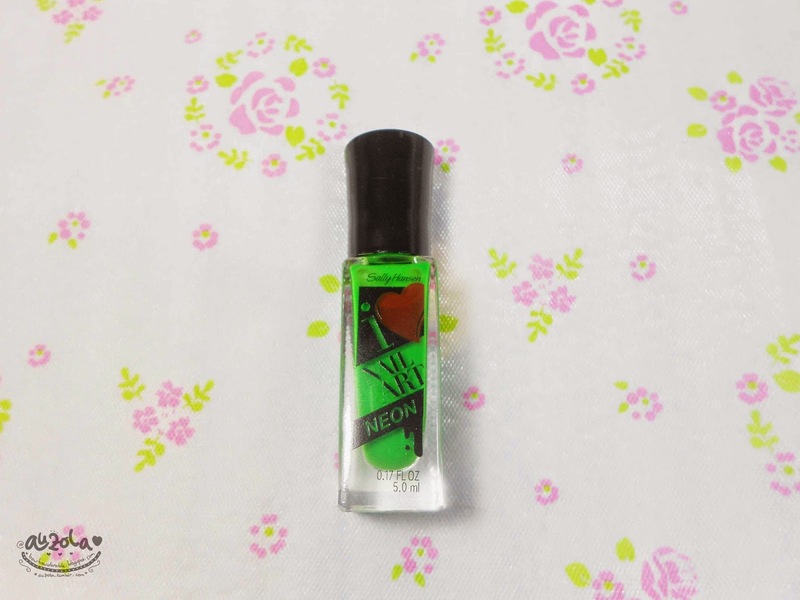 Just like the i Heart Nail Art Striper, this one also has this simple slim rectangle transparent bottle with black cap, which is perfect because it doesnt take up to much space like other nail polish bottle will. 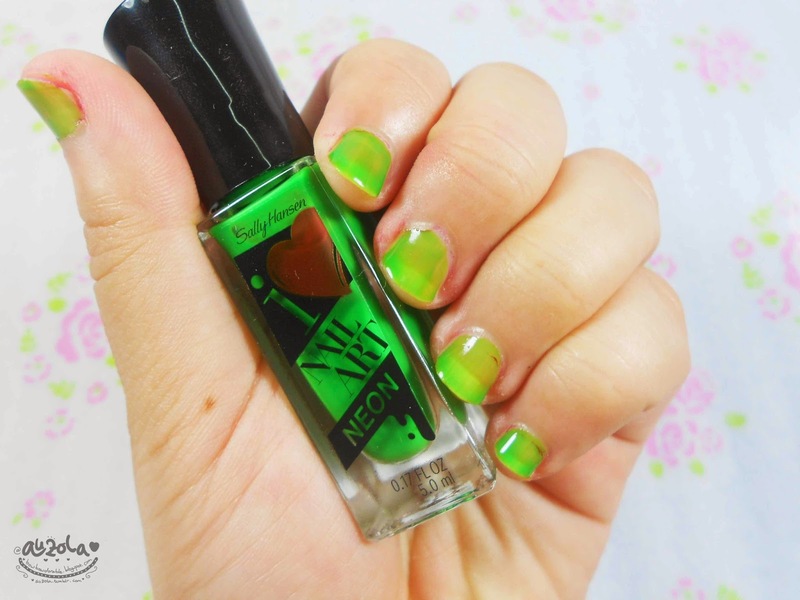 The back side, contain type of the i heart nail art neon code, this one is 150 Hot Wasabi and plus there's also a manual on how to use this polish. Noted: it need TWO coats. 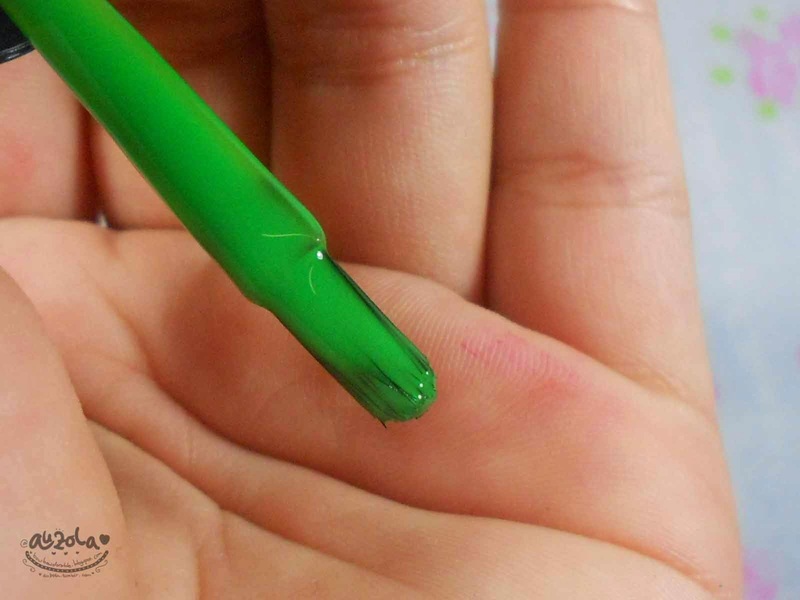 The brush is wide but thin and it's also sturdy, so it's still easy to reach little part of my nails, unlike the normal nail polish brush which is way too soft. Now let's see how it turns out on my itty bitty nails (please, dont mind about my baby nails). This one was one coat, and it definitely not that good, so you might want to give it two coats, but i think it needs like 3-4 coats before showing the color perfectly. Well, the brush is good, but not really the color payoff, i mean i like the striper type one better because with one coat the color is already amazing, while this one need two coats or more. But the color is nice for me, neon like with bright green color. In conclusion this nail polish is not bad but not that great either. But still the color is cute and if you want to give it a try just remember to coat it twice or more. So guys, what do you think? 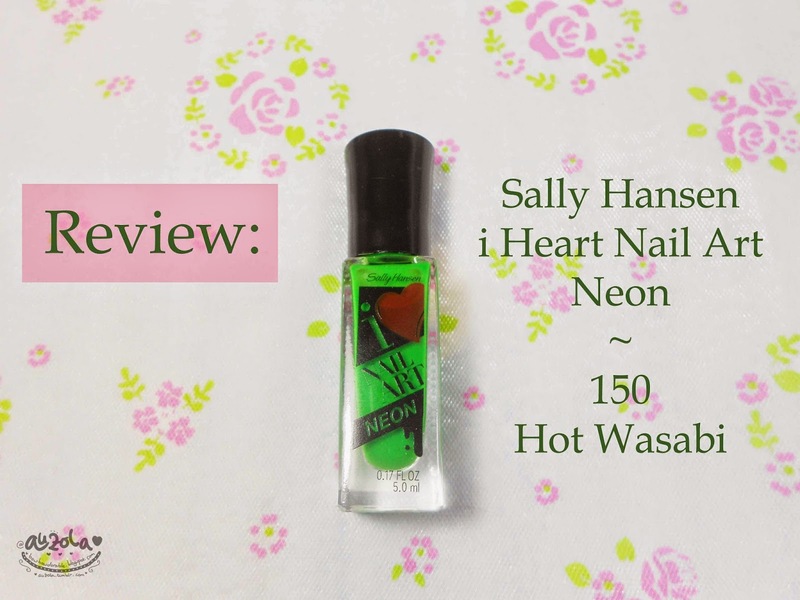 If you want to try this i Heart Nail Art collection from Sally Hansen you can get it on major department store like Sogo and else. Plus also at selected drugstore like Guardian and Watsons counters! Hope you find this review useful and dont mind the small nails! Hahaha.